Founders often talk about the importance of testing and feedback before bringing their applications to market. At the same time, it’s almost universally accepted that no one ever gets it right the first time – things fail, veer of course, and each app evolves into something much different than the initial concept. Surprisingly, you don’t often hear of attempts to improve the testing process in order to avoid these growing pains before releasing imperfect products. The professional software developers and testers at QASymphony want to change the game. 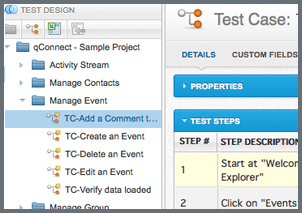 Their latest tool is qTest, a cloud-based test management tool. This company takes quality assurance very seriously, but also believes that test management solutions should be simple, smart, and affordable. At $20 a month (per user), the qTest platform is priced to give early-stage and growing companies a low-cost means to introduce quality assurance protocols and better manage testing. What’s more, qTest integrates with other defect tracking tools, including the qTrace screenshot capture and defect capture tool – which makes identifying, reproducing, and eliminating bugs easier. The favorite quote of Co-founder and CEO Vu Lam comes by way of Winston Churchill: “To fail to plan is to plan to fail.” Before releasing qTest, 500 companies from 23 countries participated in testing this QA testing tool. Ever since a harrowing journey from Vietnam rejoined Lam with his father in the states, he has built up an impressive resume leading IT service companies (Paragon Solutions, KMS Technology). You could say that he’s been planning for qTest a very long time. In addition to leading QASymphony now, he serves as a board member and mentor at several IT startups. To hear him tell more about his inspiring journey, read his full New York Times article here. Co-founder Josh Lieberman first joined Lam as part of the management team at Paragon Solutions. Previously, his international IT consulting expertise led him to become the Director of Operations at Anderson Worldwide, running a $100M operation of more than 1,000 consultants. Trying to get rid of a bug can be like listening for one bad note played by the entire orchestra that throws off the whole movement. Lam and Lieberman concentrate more that two decades worth of software experience into their software testing tools. Accessible in any browser, qTest gives new teams an easy-to-implement, collaborative tool to achieve quick and satisfactory QA testing results. Keep those applications making fine, sweet music.